Jurgen Klopp was happy with the result as Liverpool sealed a 2-0 win over Crystal Palace, but remained critical of his side’s all-round offensive efforts. 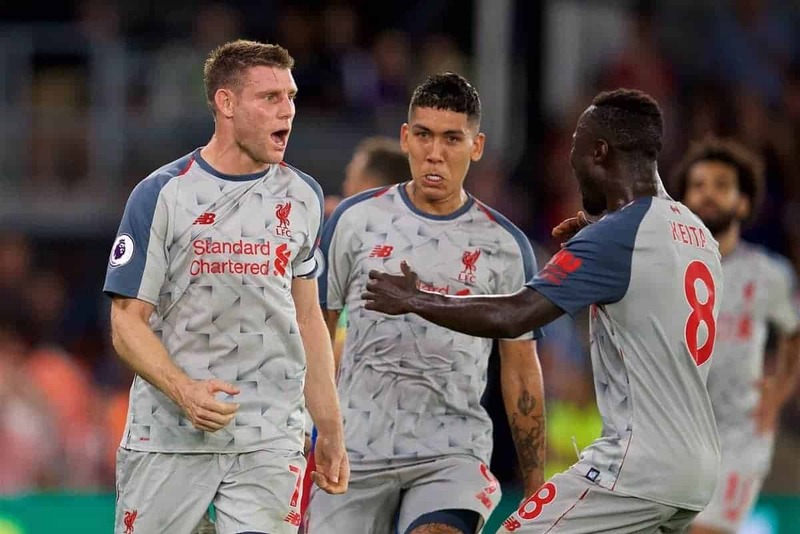 The Reds fought hard for the three points at Selhurst Park, with their quality ultimately shining through as James Milner and Sadio Mane scored to secure the victory. As should be expected, their display was not as fluid as in the 4-0 thrashing of West Ham on the opening weekend. But on the road, at a notoriously difficult ground in Selhurst Park, the result was all that mattered for Liverpool. 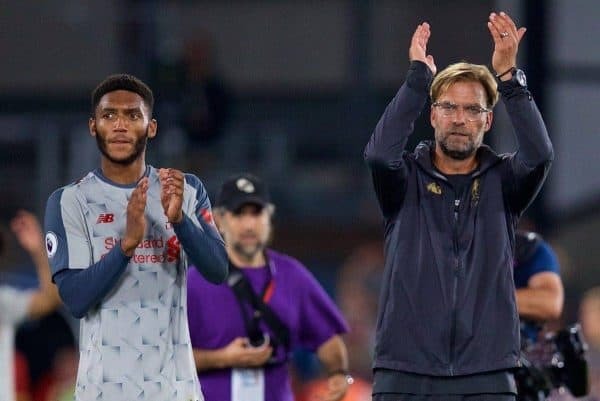 However, speaking to reporters after the game, Klopp insisted his players could have offered more going forward—particularly Andy Robertson and Trent Alexander-Arnold. “Defensively it was absolutely OK. I was not too happy with our offensive play,” he said. “The rhythm was not good, timing was not good, both full-backs need to be involved much more—open up their game a little bit so we really have different options. “I don’t want them to be our No. 10s, but they [should be] an option. So that was not too cool. Mohamed Salah continued his quiet but effective start to the season as he registered two assists in an otherwise uneventful performance from the Egyptian. Most of the praise after the game was reserved for Klopp’s defensive line, and Alisson, Virgil van Dijk and Joe Gomez in particular, but the manager was content with his No. 11’s input. “I have nothing to say about individual performances. Mo Salah can play much better, that’s 100 percent,” he explained. “But he was really involved in both goals—decisively involved, so that’s two assists kind of, so I am completely fine with that and it’s all good. Liverpool’s opening two games showed two different sides to their approach: flourishing at Anfield against the Hammers and grinding out a win on the road against Palace. Klopp added later in his press conference that his side took “a big step” in ‘winning ugly’ on Monday. And if they can improve in terms of fluency in these situations this will be even more so.